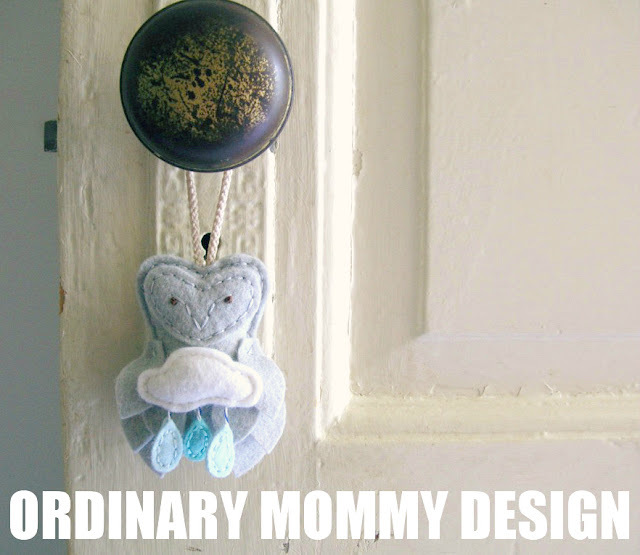 ORDINARY MOMMY DESIGN: Just a Little Black Rain Cloud Owl. Just a Little Black Rain Cloud Owl. This happy little owl pitter-pattered quietly into the shop a couple of weeks ago. Perfect for lovers of rainy days, or a positively cozy accent for a nursery. Hang him on a door knob. Prop him on a shelf. Just don't forget to give him a smile every time you pass by his resting spot.